Dance On was written by British instrumental group - The Shadows in 1962. The song reached No. 1 on the UK Singles Chart & the Irish Singles Chart. Music: Eb Major in 2/2 time at ~ 84 bpm (in 2). Born: Kathleen O'Rourke on October 20, 1938 in Ilford, Essex, England. Died: May 19, 2011 (aged 72) in London, England. Successful Singles: Dance On! (1963), Secret Love (1963), Let Me Go, Lover (1964), You're The One (1964), I Belong (1965). Albums: Sixteen Hits From Stars & Garters (1963), A Song For Europe (1965), Make Someone Happy (1966), My Thanks To You (1968). 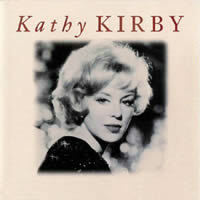 Kathy Kirby chords and lyrics are property and copyright of their owners. "Dance On" chords and lyrics are provided for educational purposes and personal use only.